Replied by MarcS on topic Finish the site! These help a lot. I am pretty sure we can collaborate to adapt the capabilities of the Carolina hull to the needs of the Pacific Northwest weather. Replied by Eric S on topic Finish the site! Thanks again Marc, I know how it is to run a business from the ground up, my family has been doing just that for two generations. Of course I got away and decided I needed something a little more exciting, thus I have time to build boats on my days off. That seems to be a good compromise to house 3-4 anglers out of the weather, yet still keep her an effective boat for late season casting and working multiple hookups. If that were shortened up to give a *real* fishdeck out back to do real work, it has promise. Of course it all has to look decent when its done. I'm still a few months out from shop space, so there isn't a great deal of urgency. This concept might add some depth to the broad line you currently offer (though galleries and lines plans would be fantastic on the site, however rudimentary they may be). We Northerners don't have your weather, but the hulls offer so much in the way of smooth ride and elegant looks that they are desired. I love a deep split sheer, just the right amount of flare, and a boat that doesn't eat gas like its a hobby. I think the designer/builder that can get a real-world 3.5-4 mpg when loaded for offshore work will be a busy and wealthy man. Yeah, you need to be moving at a cruise speed of 20-26 kts to do it, but an extra 30 minutes to the grounds in exchange for cutting the fuel bill in half is just too compelling. I agree with the work and sleep part but we are trying very hard to build a business and it takes this much work. If you like the 24 hull design, I can put together more info on it. We decided to play with the lines of the 27 just a bit to put more flare in her and move the sheer break back a bit so we pulled her off for a while. We did about half of the work but the two new 32s we just introduced were commissioned and so the updates to the 27 were put on hold. 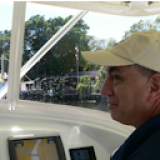 We have a 29 being commissioned in a few days and it will be close to the lines of the new 32 Center Console we just introduced. It is not too much effort to get to a 27 from either the 24 or 29. Do you want to get together over the phone and talk. That is the way we really like to work. I can give you some customer references if you like. Thanks for the detailed response. It sounds like you have a good handle on your ideas and I would love to work with you. I hope to talk to you soon. Thanks again. Marc, aside from it being really late where you are, you should work when its time to work, and sleep at night. I'm hoping to put together either a 24 or 27 with a hard top on it of some sort for the Pacific Northwest. We are north of the 45th parallel, so it rains here. Alot. Pilot house boats are the norm, with a few center console boats set up with hard windshields and hard sides to keep the weather off the crew. The run out to the grounds for halibut is 25 miles, the run to albacore can be from 20-60 miles depending on the year. I think the 24 or 27 might be a good boat for this. Normal weather is 50's, rain, W swell at 4-10 feet, wind chop from 0-6 feet. Outside of that, I don't want to fish. We are on it and we are listening. I hope that our timeframe and yours aren't too far apart. Unfortunately, it seems like everything takes about twice as long as we would like. Thanks for stopping by. Give us a call if you want to talk specifics in the meantime. Guys, please, don't make me beg to see the other designs. Put somebody on this "finish website" project ASAP. 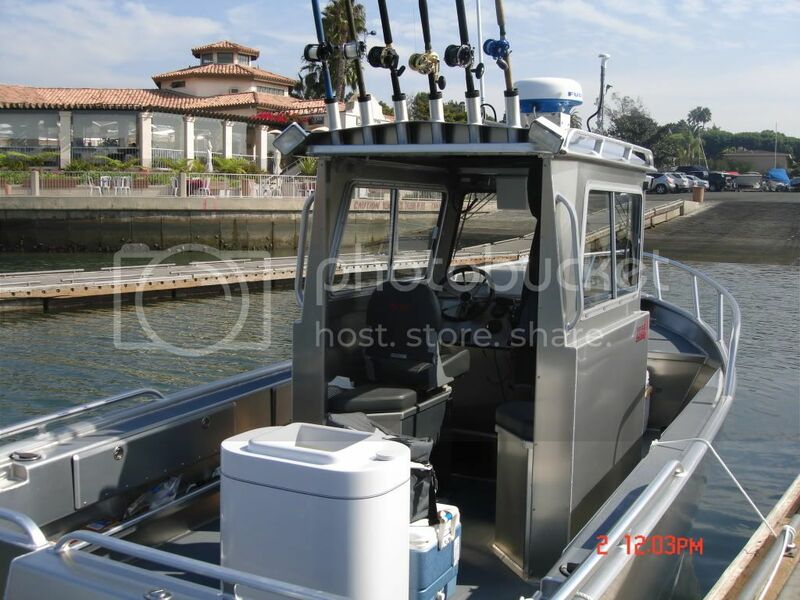 I am nearing a deal on my current project and am lusting after the idea of a 24/27 over here on the West coast for albacore fishing, running more efficiently and smoothly than what we have around normally for boats. Home Builders' Forum ENVIBOATS Builders' Forum Suggestion Box Finish the site!